Head of Department: Honored Professor of KhNMU, Member of Academy of Sciences of Higher Education of Ukraine, Honored worker of science and technology of Ukraine, M.D., PhD, Professor Pavel Grigorievich Kravchun. Research work: The main focus of research of the department is to develop research on the problem Ischemic heart disease in polymorbidity: patogenetic aspects of development, flowing, diagnostic and improvement of treatment. - identify changes in epidemiological studies of hemodynamics, microcirculation, platelet-vascular hemostasis, blood lipid spectrum, clinical and anamnestic characteristics of the formation and progression of coronary heart disease. Study of hemostasis in myocardial infarction received international recognition, which made them unsuitable for international multicentre trials on the use of thrombolytic agents. At present the department consists of Professors (P.G. Kravchun, N.G. Ryndina, O.M. Shelest, V.D. Babadzhan), 7 Associate Professors and 12 Assistant Professors. The department has trained PhD students, clinical interns, undergraduates, perfomed dissertation for the degree of Doctor of Medical Sciences, dissertation for the degree of Candidate of Medical Sciences. Over the recent ten years the following dissertations were prepared and successfully defented by foreign citizens. The department conducts medical work in 5 hospital departments (internal medicine, cardiology, infarction, allergology, intensive care unit), 3 therapeutic outpatient departments of City clinical hospital No. 27 as well as neurology department of the same hospital. The teachers of the department consult patients, make daily rounds, participate in clinical and pathological conferences. All patients treated at hospital No. 27 get counseling of Head of Department Prof. Kravchun P.G., Professors Shelest A.N., Ryndina N.G., Babadjan V D., Associate Professors Kozhim M.I, Borzova E.Yu. The employees of the department conduct an expert assessment of the quality of treatment and diagnostic work in the hospital, examination of all lethal outcomes with analysis of the causes of death. 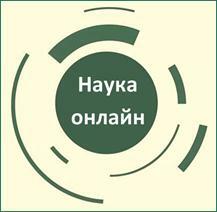 Being together a multidisciplinary team, the staff of the department fulfilled most medical counseling in the medical institutions of Kharkov and the Kharkov Region.. The priority areas of medical activities of the department are diagnosis and treatment of patients with acute myocardial infarction, acute and chronic heart failure, hypertension, heart rhythm disorders, metabolic syndrome, asthma, pollen, food, drug allergy, pathology of the gastrointestinal tract. The clinic is equipped with modern facilities: digital x-ray unit (Siemens) has extensive diagnostic capabilities at low dose of irradiation, ultrasonic diagnostic apparatus of the expert class ("XD 11XE", Philips,) to examine internal organs, heart and blood vessels. The emergency and intensive care units are equipped with modern monitoring system for patients, diagnostic (ultrasound equipment, mobile x-ray unit, equipment for daily recording and monitoring of ECG and blood pressure, devices for measuring pulmonary arterial pressure and cardiac output). • Comprehensive examination (laboratory and instrumental) of patients with diseases of the cardiovascular system. History of department. 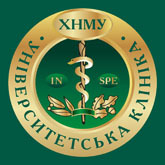 The department was founded in 1877 in Kharkiv National University. 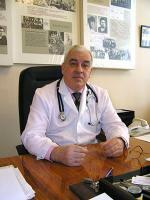 The first head of the Department of Internal Medicine No. 2 was Professor Ivan Obolensky (1877-1884). The department was headed by outstanding scientists A.Ch. Kuznetsov, F.M.Openhovskiy, K.P. Georgievski, S.H.Yakushevych, E.A. Chernikov, S.Ya.Shteinberg, VM Kogan-Yasniy, R.Sharlay. 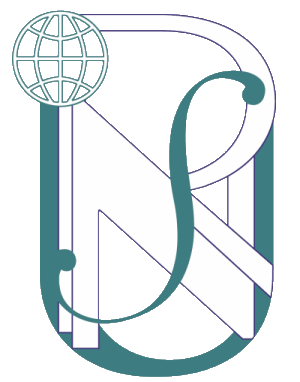 From 1961 till 2003 the department was headed by the Hero of Socialist Labor, Hero of Ukraine, Member of National Academy of Sciences and Academy of Medical Sciences of Ukraine, RAMS, Professor L.T. Malaya. Since 2003, the department has been headed by Honored Professor of KhNMU, Member of Academy of Sciences of Higher Education of Ukraine, Honored worker of science and technology of Ukraine, M.D., PhD, Professor Pavel Grigorievich Kravchun.